After tasting that very disappointing Solero Mojito, I figured I could come up with something better so I did! Place the water and sugar in blender jug and leave for five minutes until the sugar has dissolved. Set half a lime aside then remove the skin from the rest of the limes, quarter and place into blender jug with about a quarter of the mint. Leave for 10 minutes for sugar to dissolve then blend until smooth. There will be bits of lime flesh in the mixture which I love as I find a strong lime taste refreshing. If you don’t then juice the limes rather than putting the whole fruit into the blender. 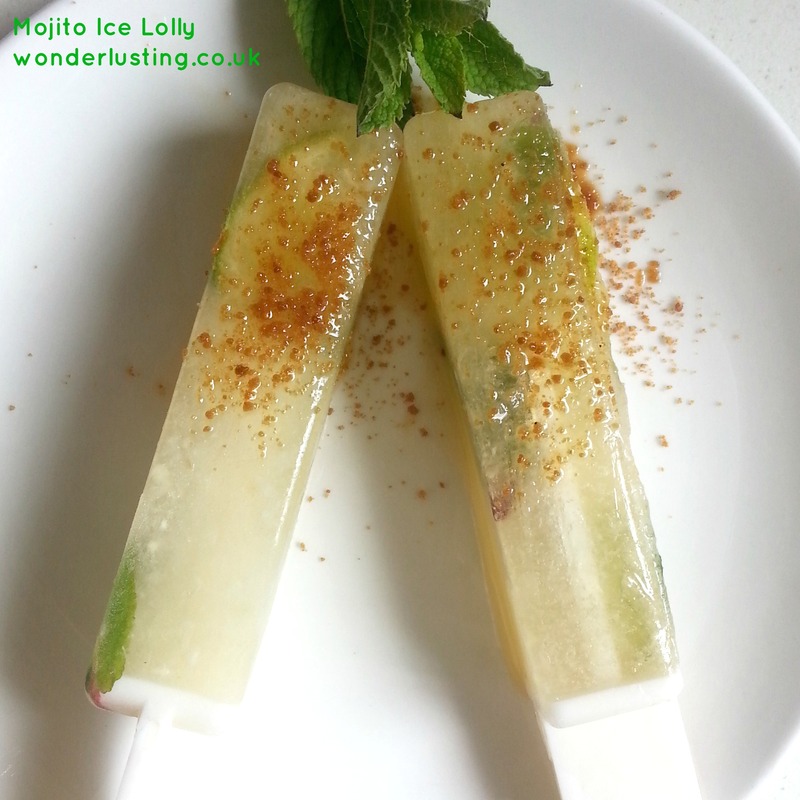 Slice and chop up the half lime (again leave this step out if you don’t love lime as much as I do) and arrange in ice lolly mould. Arrange half of the remaining mint in the bottom of ice lolly mould. 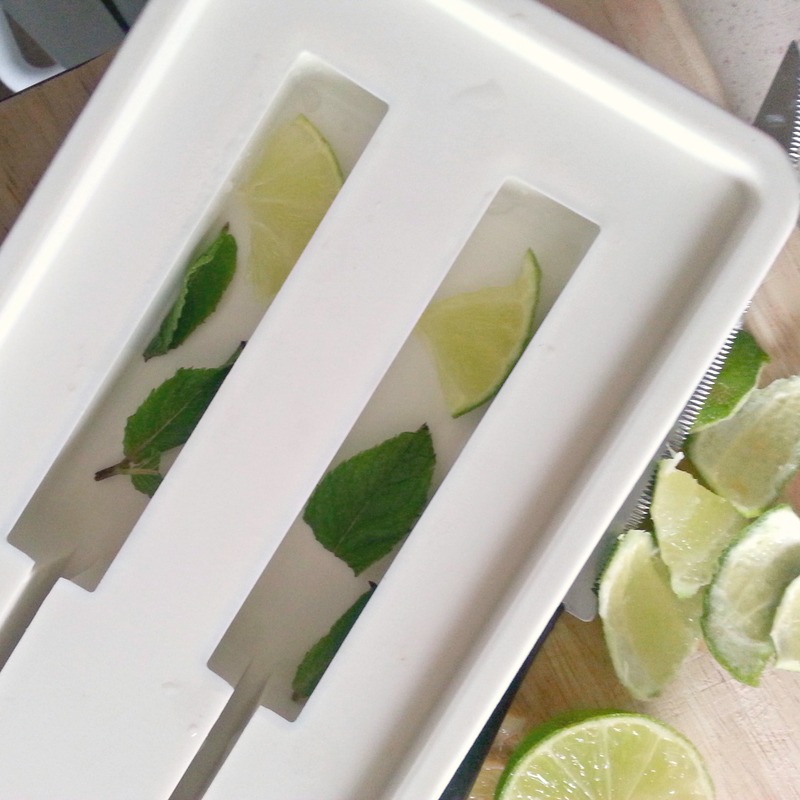 Pour the mojito mixture into the mould then arrange the rest of the mint on the surface. 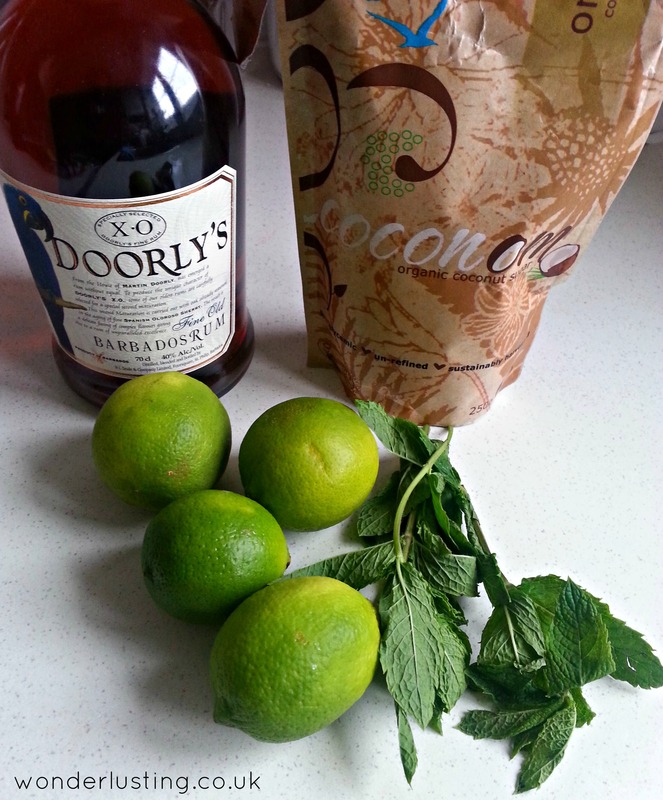 Just before serving, dip into rum (or lime juice/water) and sprinkle with coconut sugar. NB: Don’t be tempted to add more rum to the mixture (ahem in the interests of science i might have tried) as it won’t freeze.